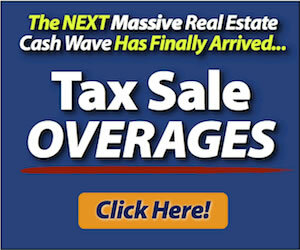 Tax Lien Certificate Sales - Your Best Source of Wholesale Buyers! 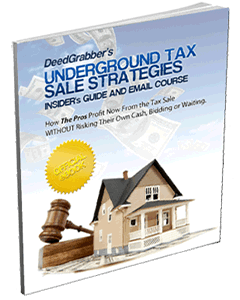 Tax Lien Certificate Sales – Your Best Source of Wholesale Buyers! Tax Lien Certificate Sale Bidders Pay Cash for Properties! It’s a little-known fact that bidders at tax lien certificate sales are one of the best sources of wholesale buyers for your properties. And, you can get lists of these bidders from just about anywhere in the country, going back several years. 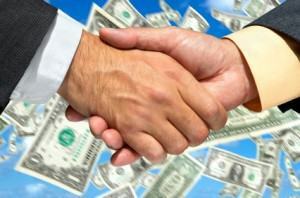 Why are the bidders at tax lien certificate sales excellent wholesale buyers? They are likely to have cash available. Tax lien certificate sales require all cash upfront, and serious players invest hundreds of thousands of dollars at each sale. In many cases you can also request a list of what each bidder purchased at a given sale. This will help you identify the “players”. They are willing to gamble on properties they haven’t even been able to inspect. As you may know, you cannot inspect the interior of any properties that are on tax lien certificate sales lists. If you make one of these bidders a wholesale buyer, they will now get to inspect your properties. You will be able to show them how working with you is an excellent opportunity. You will be able to offer them properties that they can inspect, that they can obtain immediately, and that will not need a quiet title action. There ordinarily will be no legal action required either. Now, don’t forget that bidders at tax lien certificate sales are after a bargain, or they wouldn’t be bidding at the sale in the first place. So don’t waste their time with deals that aren’t a bargain to them or you will quickly lose their attention. However, if you’re worried about proceeding with dealmaking because you don’t have cash to close, you will now be able to pass on your deals to these bidders and make a small wholesaling profit while providing the bidders an excellent deal. So, how do you get lists of the bidders at past tax lien certificate sales? Simply make a public records request to the county for their past bidder lists. You see, almost all counties require bidders at tax lien certificate sales to fill out an extensive registration form at the beginning of the sale, because hundreds of thousands, or even millions of dollars are changing hands at the sale. The county needs to know who each bidder is so they can properly assign the lien to that bidder and receive payment. Usually, to get an auction paddle to bid, one must sign up on the master list. This list is retained indefinitely by the county and can be requested by the public as part of a public records request. The list always contains, at minimum, the full name and address of the bidder. It also frequently contains phone numbers and other contact information. Since you can make most public records requests by mail or email, you can now establish your wholesale buyer lists in any area of the country before you start working there, by filling it with bidders from past tax lien certificate sales. No waiting, bidding, or legal work. A chance to acquire properties nobody else has access to. So make your list oftax lien certificate auction bidders first, and then get out there and get some properties under contract. The best source of properties to get under contract, incidentally, is properties that have already gone through the tax lien certificate sale and are about to be lost! Contact those owners who are about to lose their property to the sale and get them under contract, and flip to the bidders at the sale! I can’t believe I just found this site… So many other places dont provide information like you do. Now I can build a buyers list and make some money by passing along hte deals I find. in public areas might present a health risk. kind of download restrictions like how you will see in the free version of Lime Wire. story face to face and assembling puzzles were an impossibility. The e-gaming provider today has a great opportunity to construct a profitable business and generate revenue for profit and for good causes. of the onus has been met.